Many things are happening when it comes to the topic of casinos in Japan. For several years, casino gambling is illegal in Japan. This is why there are no physical casinos that exist in the technologically advanced country. However, the norms are now changing as the Parliament moved to finally legalize casino gambling. Japanese legislators passed the Integrated Resort (IR) Bill in an effort to complement the tourism industry of the country. The move stirred large casino companies to rapidly make their bid to become the first casino in the Land of the Rising Sun. The traditionally conservative country’s decision to pass the IR bill may be a welcome news for many hopefuls but it does come with several restrictions. The bill stipulates that only 3% of the total floor area may be used for casinos. In order to curb gambling addiction for its locals, residents must pay a 6,000 yen entry tax. In addition, the Parliament will only award three (3) IR licenses nationwide. While it may still take time for land-based casinos to become a reality in Japan, locals and tourists may still legally gamble through Pachinko, sports betting, and lotteries. What Are The Types of Casinos in Japan? As mentioned, there are still no land-based casinos in Japan. Before casinos were made legal by the Diet, the country has a booming illegal casino industry commonly run by the Yakuza. Many of these underground casinos offer Internet casinos that allow players to play online poker. These underground casinos also allow their customers to play mahjong and baccarat. As the country move to approve three licenses for casinos, many types of casinos will soon become available in Japan. What Are The Most Popular Betting Games and Casinos in Japan? Pachinko remains the most popular betting game in Japan. Pachinko is a mechanical game that is inherently Japanese. It is a pinball game that was originally conceptualized as a form of recreational avenue. It has since evolved to become one of the country’s widely accepted form of gambling. The rise of pachinko become so widespread in Japan as a result of a void in the Japanese gambling scene. Many pachinko parlours in Japan almost look like a slot machine floor in a casino. Pachinko parlours have also incorporated slot machines to create a pachinko hybrid of pachislo or pachislot. These machines have gained prominence because of their high customizability allowing parlour owners to constantly entertain their frequent players. Pachinko is made up of small pinballs that are shot in a vertical arena by holding on to a knob. As the ball goes into the start position, it activates drum. In some older machine models, these drums manually revolved. Newer ones, however, show animated screens. The player earns a chance at winning or a “reach,” when the two symbols at the screen or drum match. But the ultimate goal is to match three symbols. When players achieve three matching symbols, pinballs will come out at the base of the machine. This is why most players have buckets filled with balls. Take note that these pinballs may not be directly exchanged for cash. Players can trade the balls for various merchandise, which they can sell for cash. Since pachinko has a large following, the government is finding ways to ensure that it does not become an avenue for money laundering. There are instances that police officers will check machines to curb possible cheating by parlour owners. Sports betting is also a popular game of chance in Japan. Betting on soccer pools, bike races, auto races, boat races, and horse races are government-approved provided they are done on a pari-mutuel betting. This ensures that the government gets a cut from the winnings. What Casinos Are Popular For Expats? Expats interested in trying their hand in casinos in Japan may try any of the government-controlled public sports betting. This is to make sure that they comply with the legalities of the country. Expats are highly recommended to stay away from playing in any of the underground casinos. Horse racing is one of the best options for expats who want to gamble in Japan. There are numerous Japanese Racing Association tracks they can gamble on. If they live in an area far from any of the JRA tracks, they can opt for an Off-Track Betting station or online betting. Expats who are keen on in-play wagers, betting fixed odds, casino or poker may want to use foreign betting sites that are outside the jurisdiction of the Japanese government. Some of the websites like Bet365 allow players using a Japan address. The website also allows players to have accounts in the local currency. Expats can also bet on horse races, bingo, casino and online poker to name a few. While the laws about casinos are still up for refining, Japan has a rising industry of casino bars. These are the legal casinos in Japan that have worked their way around the loopholes of the country’s betting regulations. To stay on the right side of the law, these casino bars do not open their establishments all night. They have specified operating hours only. They do not allow players to receive cash prizes and they do not directly exchange prizes for cash. Some casino bars require their customers to pay an upfront entry fee. The entry fee entitle the customer to food and drink coupons and chips. These chips can be used to play casino games like poker and baccarat. As one earn more chips for playing, these chips are then converted to more food and drink coupons. This way customers can still experience gambling in a casino, having fun doing it without breaking the law. Where Are the Best Casinos in Japan Located? How Much Do I Need to Gamble In Japan? Japan does not have any set legislation with how much money one can spend for gambling. Those into sports betting must declare their winnings, as they should take home less than 50% of the prize money. As a general rule, one should only bet what they can afford to lose. Gambling can be a form of recreational activity but they are also avenues for addiction. The Japanese government have set in place gambling laws to prevent gambling addiction from worsening. What Laws Do I Need To Be Familiar With When I Gamble In Japan? Threading the Japanese gambling scene should be done carefully as there can be some quite ambiguous laws that must be observed. Gambling in Japan is under the jurisdiction of the Minister of Land, Infrastructure, Transport, and Tourism. Unless specified legal, all gambling and lotteries in Japan are classified as criminal activities under the Chapter 23 of the Penal Code of Japan. Betting on horse racing and other forms of racing and lotteries operated by the government. Pachinko parlours operated by the private sector is considered a government-permitted activity since they are marketed as a recreational games. Expats who want to try their hand at Pachinko should know that they cannot directly win cash at these machines. Enthusiasts have, however, devised their way on how to get cash from these machines. Pachinko parlours allow their players to exchange the balls for prizes that are convertible to cash at shops that are not within the parlours since balls are engraved with markings unique to specific parlours. Mahjong is another game in Japan that attracts high-rollers. 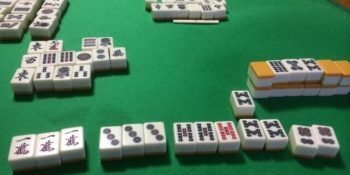 There are also plenty of Mahjong parlours in Japan, but just like pachinko, players cannot go for in-house cash gaming that one can find in a casino. Sports betting, as mentioned, is a legal form of gambling in Japan as long as they follow the pari-mutuel form of betting. It is often considered the form of gambling that is most enjoyable for expats. Online gaming is also making its presence felt in the gambling industry of Japan. It is becoming popular for its accessibility and because there are no clear cut legislations about its legality. There are two things to remember when gambling in Japan. First, you cannot gamble in exchange for cash and prizes cannot be directly exchanged for money. When one sticks to the rules, Japan can be a fantastic place for gambling. What Online Casinos Accept Japanese Players? Info: Online casinos are fun and one great thing to do there is play live dealer games. You can enjoy that and more on Wunderino, it is one of the more unique online casinos you will come across today. It looks really nice with a unique design following a more minimalist approach. As for the games they offer a lot These includes slots, live dealers, and table games. To provide these games they partnered up with the likes of Evolution Gaming, QuickSpin, Play’n Go, and Habanero to name a few. Info: The internet is a fun place that has a lot to offer like online casinos. The online casino world, in particular, is a fun time where you can win money while playing games. Now, if you like playing games with people but want the convenience of online casinos then Live Casino House is the place to go. It offers players a lot of amazing games and even bonuses, you should check them out.